The is a reference 7101 Breitling Pult Chronograph from 1974, powered by a Valjoux caliber 7740. 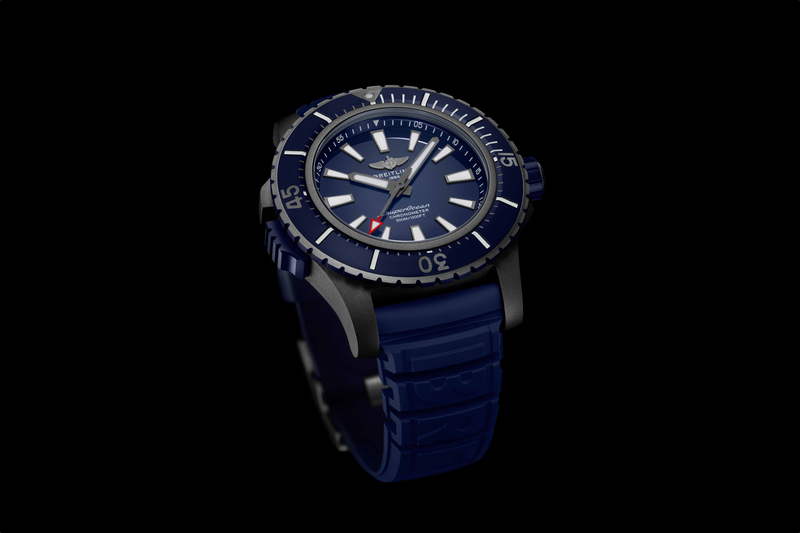 There is another Breitling Pult, reference 2117, that is powered by caliber 11, and notably has the crown located at 6 o’clock. Whereas the watch (shown), reference 7101, has a Valjoux 7740 powering it, and the crown is located at 12 o’clock. 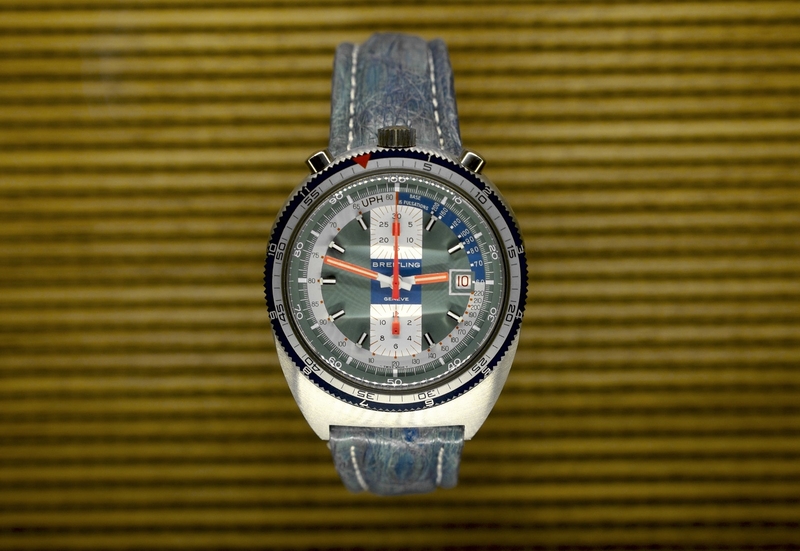 A 42 mm diameter asymmetrical stainless steel case, as well as six different colors (orange, turquoise, red, gray, white, blue) on the dial, give this “bullhead” watch an unmistakable look. Plexiglass crystal. Solid caseback. The case has a brushed finish with polished pushers and crown. Crown is signed with Breitling emblem. The watch features a rotating bezel, a pulsation scale and tachymeter on the inner chapter ring. There is also a chocolate-colored version that was produced in the 1970s.